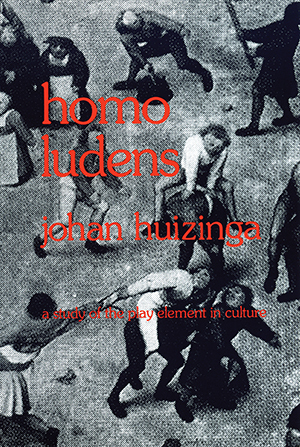 In Homo Ludens, the classic evaluation of play that has become a “must-read” for those in game design, Dutch philosopher Johan Huizinga defines play as the central activity in flourishing societies. Like civilization, play requires structure and participants willing to create within limits. Starting with Plato, Huizinga traces the contribution of Homo Ludens, or “Man the player” through Medieval Times, the Renaissance, and into our modern civilization. Huizinga defines play against a rich theoretical background, using cross-cultural examples from the humanities, business, and politics. Homo Ludens defines play for generations to come.